The authors represented, or discussed, in the volume include all of the most prominent figures in current social theory - for instance, Zygmunt Bauman, Nancy Chodorow, Pierre Bourdieu, Michel Foucault, Harold Garfinkel, Anthony Giddens, Jürgen Habermas, Agnes Heller, Richard Rorty and H. G. Gadamer. 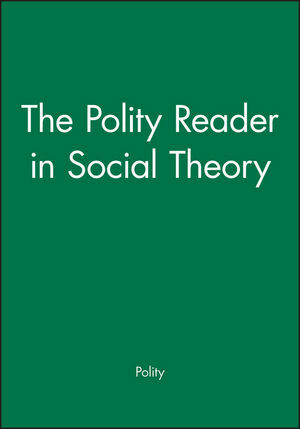 Polity is the editor of The Polity Reader in Social Theory, published by Wiley. 22. Post-post-modernism? Theorising Gender (Sylvia Walby). 37. The Post-Modern: A Transparent Society? (Gianno Vattimo). * A comprehensive and up-to-date collection from possibly the worlds most prestigious social theory publisher. * Contains readings from the leading figures in the field. * Designed as an introductory text for students. * Contains an introduction and explanatory materials for each main section of the book.